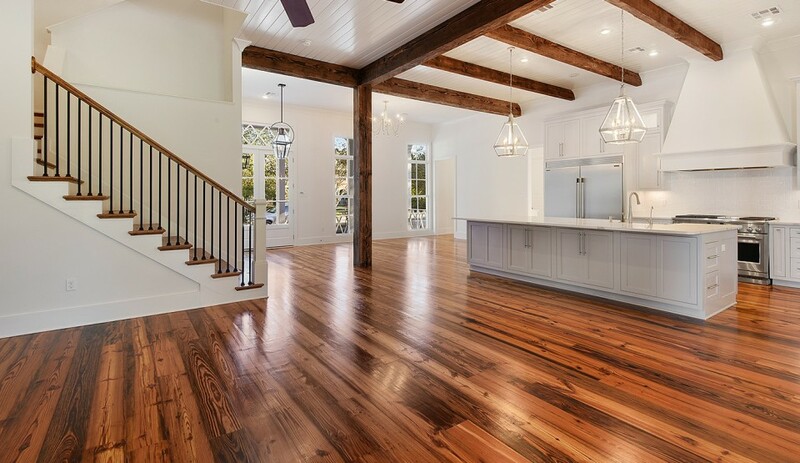 J&C Wood Products & Laolden Flooring creates ultra-premium, unfinished solid antique reclaimed heart pine, white oak, hickory/pecan, & hemlock flooring along with beams and other accessories in the traditions of old-world craftsmen. 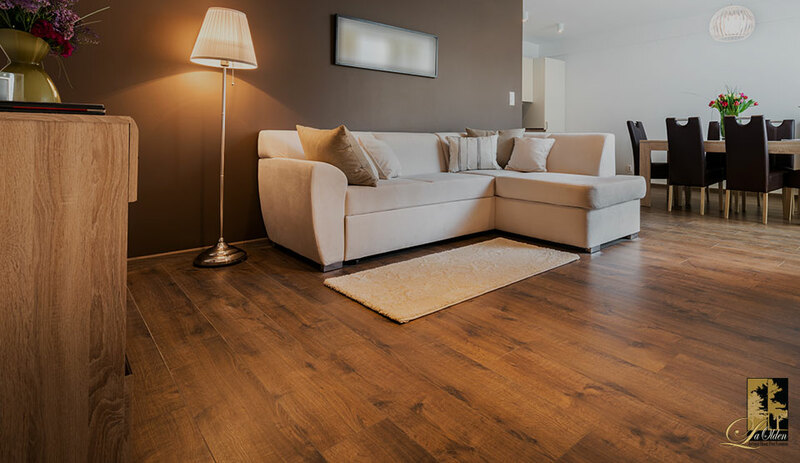 Company founders Jody & Candace Chenevert have over 25 years of experience in the hardwood industry. From their humble beginnings in Plaucheville, LA (population: 288), the Cheneverts have painstakingly carved their way to the top of their trade. The wood provides an instant well aged look with natural patina. We mill a tongue and grove to ensure a uniform thickness. 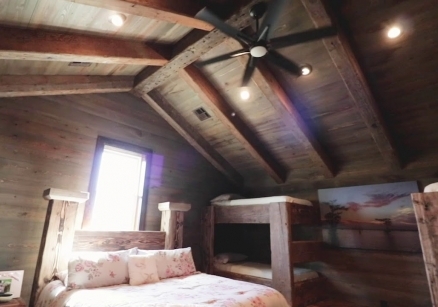 Our reclaimed beams are carefully extracted from antique structures throughout the United States. Our mantles are made from our reclaimed beams and can be milled to your desired width, thickness and length. It’s been said that there are no limits to what can be created in one’s imagination. So with that being said, one can imagine dozens of uses, designs and applications for a product as beautiful as the antique heart pine wood. Just picked up beams for a house we are building in Arkansas. Jody and the family were fantastic to deal with and the beams are absolutely stunning. Was worth every second of the 7 hour drive each way!!!! Thank y’all again!!!!! 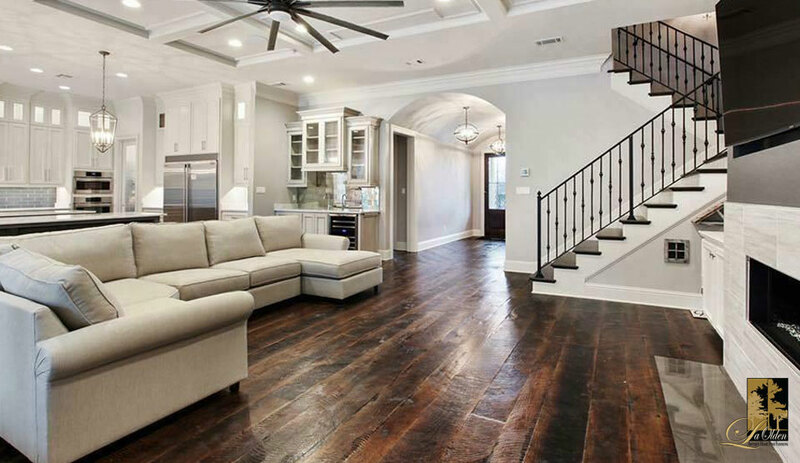 "My floors are absolutely beautiful!!! Thank you for your awesome service! 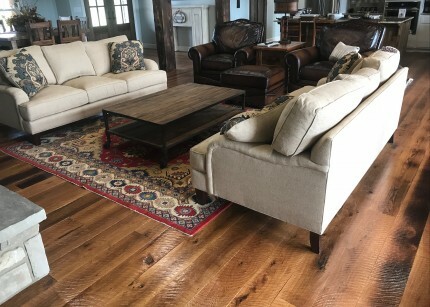 Want to compliment the J&C crew for accommodating me and going above & beyond to make sure my floors were exactly how I wanted them to be"
We can not say enough good things about J&C Wood Products!!! The customer service was excellent and the floors and beams we purchased as well as the craftmanship of the installers was superb. The installers were very detail oriented and worked tirelessly to ensure we were satisfied. The products you see here are absolutely as gorgeous in person. We HIGHLY recommend J&C Wood Products and their team! The dirty top oak floors make our house feel like a home. They always seem to be the main focus of conversation when people visit. It is very durable and perfect for three young kids. They ride their bikes and skate inside on the floors with no sign that they where even here. We even set up a rollercoaster in the upstairs play room. Our house flooded in the "1000" year storm in 2016 and we lost our wood flooring. We had regular pine flooring that we loved. We called Scott Coco to come out and show us samples of the solid wood flooring products that they carry. 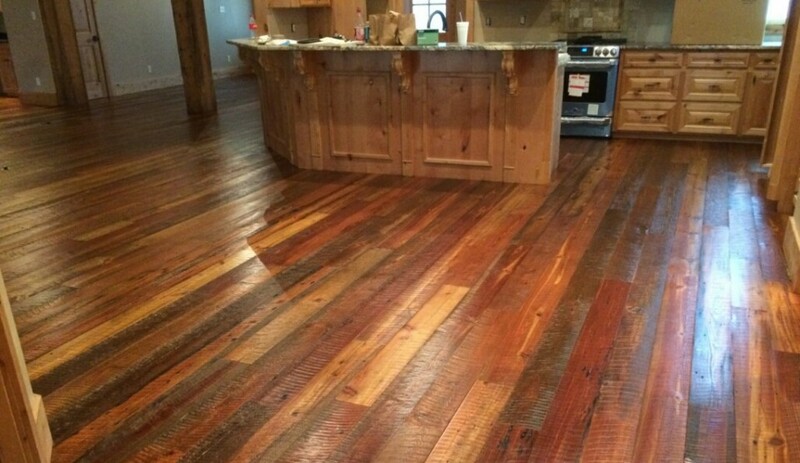 When I took one look at the reclaimed pine dirty top flooring samples and viewed photos from their website...I was sold. Their installers came out and started to installation process. I wasn't sure how dark I wanted the color to be but since the boards start out with a dark, dirty, oily surface which then gets sanded down to my liking. They got it to a point that I thought I would like then they sealed the floors. They came out gorgeous. People are coming over to see how our remodel is coming and the only thing they seem to notice is the floors. I couldn't be happier. Great job J&C Wood Products. J&C Wood Products created and delivered a beautiful floor. We went with the 7" wide antique pine and it's the first thing people notice when they walk through the door. Your installers were very professional, friendly, curtious, and kind, and they kept me informed of what they were doing every step of the way. A big thanks to Lisa O. in Baton Rouge, LA. We installed 9" wide Hemlock flooring with the dirty top surface. The photos are on our website under the products tab "Hemlock". Mrs. Lisa has allowed us to send people to her house to see her floors. Everyone who has gone over and actually walked on her floors immediately placed an order for the Hemlock. Thanks again ma'am.